1. Starting conversation with your latest project-Little LuckNow, Sir Please tell our readers about the same. ‘Little LuckNow’ is a Child Psychological Fiction and it revolves around the city of Nawabs, Lucknow. “Can a kid fall in Love and actually mean it?” is the theme of the novel. Love comes in so many different levels, that it doesn't appear to be the same emotion at all, but it is. There is so much to love. It can tear people apart and make us do irrational things to bringing together entire nations. What can this emotion not do? It's hard to tell, but there is a lot it can. Love is that one emotion that makes enemies into friends and friends into enemies. So many legends surround this emotion, from the goddess of love to Shakespeare's Romeo and Juliet. There's a very thin line between being thrilled and being terrified, when a child falls in love. Kapil, an eleven year old boy is passing through a similar phase. 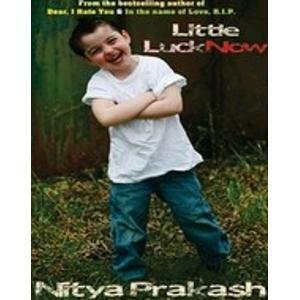 ‘Little Lucknow’ explains what goes through a child’s mind, when he/she falls in love. 2. The news is that Little LuckNow will launch in a grand Ceremony in Jaipur. Tell us about this. ‘Little Lucknow’ is scheduled to launch on 25th July, 2012 in a grand launch ceremony at Vesta Maurya Palace, Jaipur by the honorable chief guests- Brig. Pradeep Siwach(Manipal University, Jaipur) and Mr. Sartaj Narayan Mathur(Sr. Theatre Artist). 3. When we talk about Nitya Prakash’s novels, we are sure about two things: a new and gripping story and a perfect use of English. What more should we expect from Little LuckNow? I always experiment. The thing about experimentation is I can’t accurately predict the outcome. I might think I know how trying something new will turn out, but the reality is that I just won’t know until I try it. And Little LuckNow is about one such experiment: looking at Love like a Kid. 4. This book is the first project of Parlance Publishers of Jaipur and they are already making buzz in the market. Please tell us about them. Ritesh Agarwal (Director, Parlance Publishers) read ‘Dear, I Hate You’ and ‘In the name of Love, R.I.P.’ and then contacted me with a proposal to publish my next novel with them. I appreciated the directness of his approach and frankly Parlance’s team is a terrific team to work with. I am sure they will be the trailblazers in the field of literature. 5. How is the response to Little LuckNow for Pre-orders? To this point, the response is terrific with almost 8000+ copies pre-ordered so far. I am sure it will be a bestseller even before its official launch on 25th of July. 6. What after Little LuckNow? At present, I am at the trail of my 4th Novel, Maya. It is a paranormal thriller based on the ghost town of Bhangarh, Rajasthan. Maya will be the first novel ever written on Bhangarh. 7. Anything more you want to inform the readers about the novel, something that we have missed? 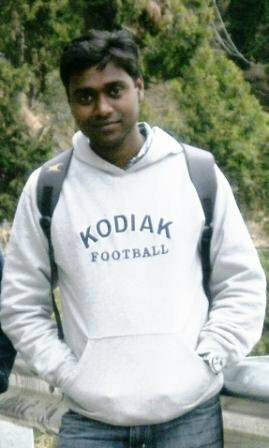 Yes, I am also working with few major production houses in Bollywood and Hollywood on Screen Writing Project. I would like to thank all my readers for their unconditional love and support. Thank You so much Sir for giving your time.